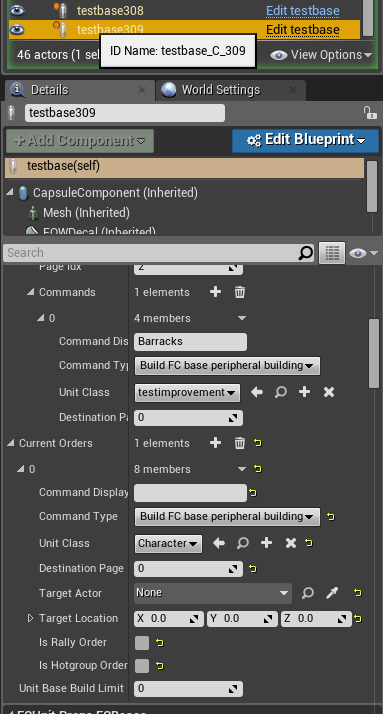 On the listen server, the player can order a base building to build a satellite structure, avoiding having to call the RPC the order goes through correctly and I can see in the unit's properties that the order has the class set to a blueprint class I made. On the client everything but this TSubclassOf replicate over and get added to the queue. The 'unitclass' of the order is set to just Character, the default. I have replicated over TSubclassOf's before no problem so this is puzzling. 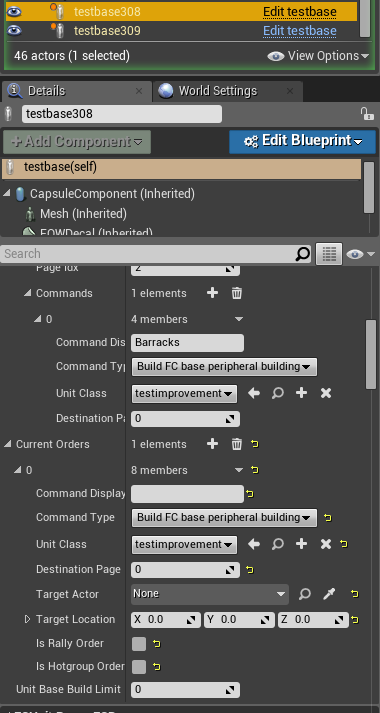 Here is a screenshot of the properties for my client and listen server's bases, they should both be trying to make 'testimprovement' but one is trying to build a character! As I foreshadowed at the end of the question, I tried a more generic 'UClass' pointer instead of the subclass of template. This networks fine, but here's the thing: That doesn't answer my question. Is this a known issue with the TSubclassOf class? If not, do you want me to try repro it in a blank project?